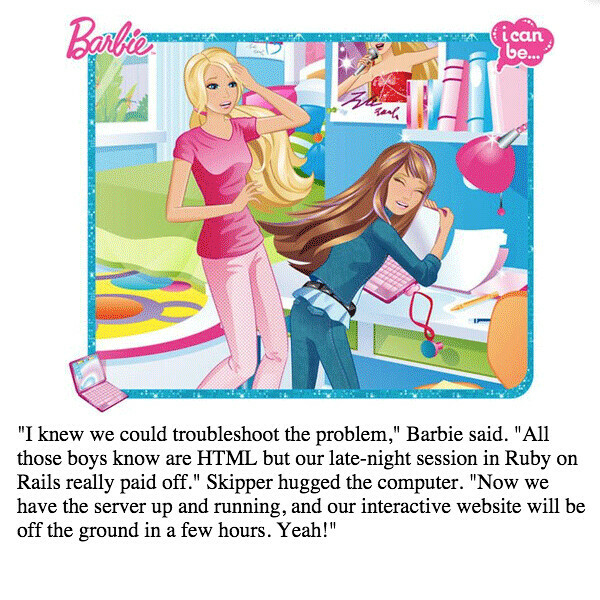 So, this is interesting … coming out of a controversy in which Mattel pulled a book from its Barbie collection in which Barbie is cast in a role as a computer engineer, but the story is framed as Barbie being someone who needs help from the boys to get things done, like the actual coding and programming. 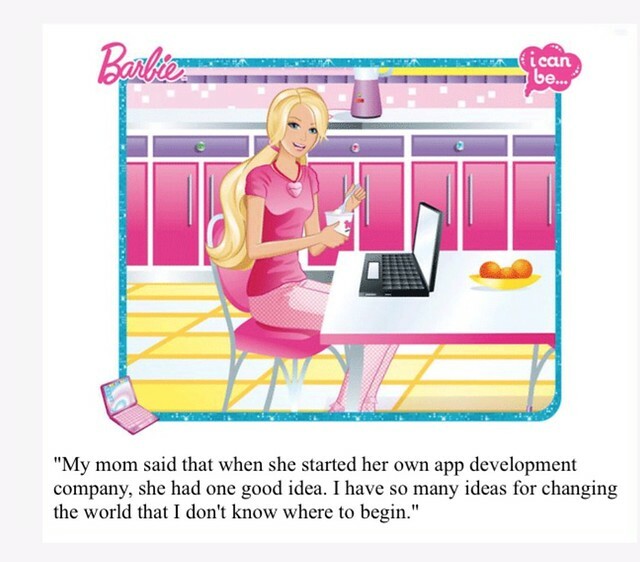 Lots of push back, as there should be, and then a few folks set up this site that allows you to hack and remix the Barbie book with your own writing. Two thumbs up and saving the link to repost over at RobinLK.com: It’s all About the Process – excellent topic!